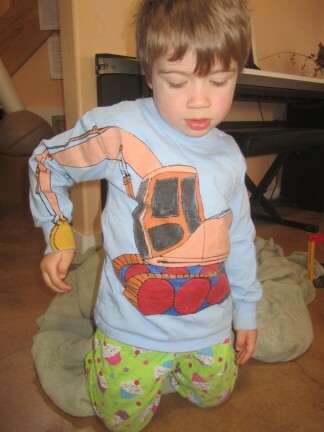 I imagine I’m not the only mom who has to reinforce the knees of her child’s pants because said child spends most of his time on his ‘tracks’ pretending to be a trackhoe. 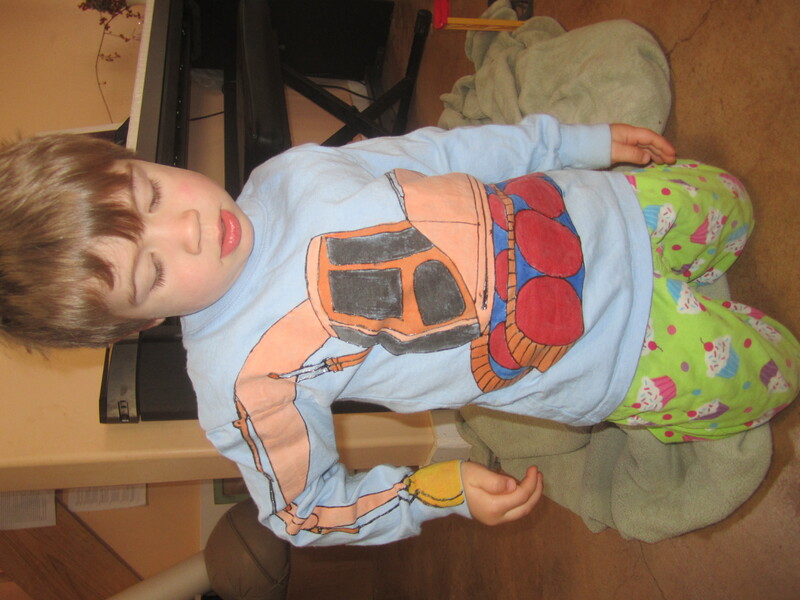 Leif was more than excited to unwrap his new trackhoe shirt and wouldn’t take it off for three days! It was a really simple project. I pulled up trackhoe images from the internet and found one that I liked. Then I used a pencil to draw it on the shirt. I used black fabric paint to outline the image and let it dry for the night. Then I went back and filled it in with color (again using fabric paint). Easy peasy! Love this shirt! Great job!